One of the things that can really make your output stand out from the crowd is the titles. Many people think creating eye catching title effects are beyond them, but with Premiere Pro you really couldn't be more wrong. The ability to import free Premiere Pro templates enables anyone to find a custom title style that suits the project and looks professional and carries impact. The great thing is that there are many of these resources that are offered completely free! 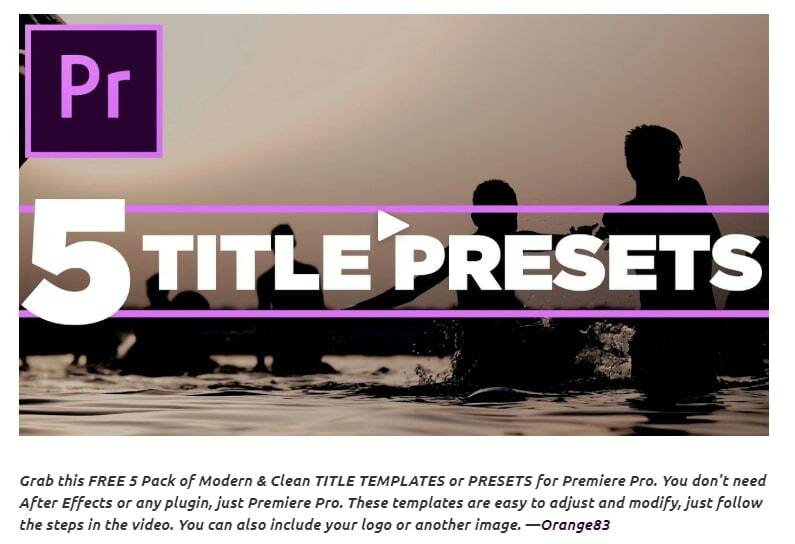 In this article, we will share with you 18 Free to download Title Templates for Premiere Pro. If you are looking for a professional video editor with easy to use features, Wondershare FilmoraPro is all you need. 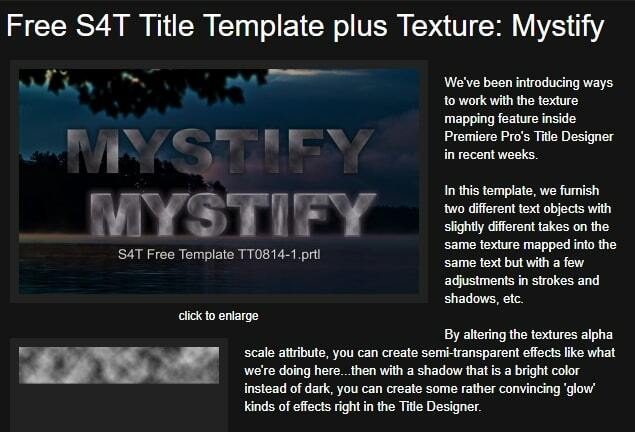 It offers more than 40 title templates, including lowerthird titles, travel titles, heart titles and so on. There is definitely one template that you will love. You can also perfect titles by changing the color, position, transparent, font and allignment. Besides, if you want to unleash your creativity, you can also create 3D title effects to power up your story. Just download it to have a try (FREE)! In case that you're just a beginner of video editing software, you can start with Wondershare Filmora9 (Latest Filmora version 9) to add text to videos, which is a powerful but easy-to-use for green hands. Download the Wondershare Filmora9 below. There are hundreds Text and Titles presets available in Filmora9, which allows you to add titles, subtitles, scrolling end credits, lower 3d, and openers with ease. You can also apply some animation effects to the selected title presets. Check the video below to find out how to add text to Video with Wondershare Filmora9. Besides the built-in title presets, Wondershare Filmora9 (Latest Filmora version 9) also provides more title templates in Filmora9 Effects Store, which provides lots of special effects templates. Currently, there are Title Expansion Set, business title set, wedding title set and lower third expansion set to download. Check the video below to check about the Title Expansion set templates. Learn more details about How to Add Text to Video with Filmora 9. Adding the finishing touches to a project, like creating the opening titles or end credits is often not at the top of the anyone’s priority list during the video editing process. Nonetheless, making a unique opening sequence along with impressive animations in Adobe Premiere Pro can be a time-consuming endeavor, so instead of spending countless hours on producing a perfect combination of text and images, you can just download a title template from the Internet. This site is run by Jarle Leirpoll, and it is a treasure trove of information, help and advice on Premiere from a man who wrote the book (literally, it's for sale on the site!) on Premiere. His main title collection consisting of 8 templates, including Lower Thirds templates, end credit template and some special characters and some extras is offered for free and is found here, but it well worth a look around the site as there is plenty more free stuff including presets, and a whole range of tips and tricks to help with your editing. This is another site that offers templates for download, but is also a great place to visit for ideas and information. Richard approaches Premiere from a photographer's viewpoint and so has a slightly different view on many topics that are well worth reading. He has links to a sizable number of templates on Richard Harrington covering a range of styles and subjects including DVD menus, animated text and high quality templates, but his blog is updated regularly and often includes free downloads so is well worth keeping an eye on. Another all-encompassing site that has a huge amount of information and knowledge to be gained. The templates are just part of the story of course, but they are available on Pro Video Coalition and include numerous files and even some free video content showing their implementation. Also on this page are links to some other sites offering free content or advice on various aspects of Premiere, making it well worth a visit and definitely worth its place in this top 10. Of particular interest on this site is the regularly updated news which focuses on the latest hardware and software announcements. This is a commercial site that offer a wide variety of high quality plugins and templates for several video editing platforms, however, we are on the lookout for that fabulous price of 'free' here so a little digging finds this page, here you will find 10 templates from one of their best selling products offered entirely free. This is a fantastic offer, they are quality professionally produced products and worth the visit alone. For anyone who is looking to take their editing output to the professional level the commercial products on offer here are well worth a look, high quality and a reasonable cost. Another commercial site, this one has a range of free templates and presets to download for Premiere, 14 free items altogether that can be downloaded, as with Coremelt, any company who helps us out with free content at least deserves a browse through their catalogue after a download, and the emphasis here is on low cost but high quality and useful templates and plugins to suit any project. Even for those of us with limited finds there may be something that catches the eye. A great site for browsing when looking for inspiration. This is another commercial site that has a smattering of very high quality free downloads on offer, including a wonderful template for the original Star Wars movie style scrolling titles. Again, it is worth browsing the catalogue when you are on the site, but all the free products can be found here. FX Factory have also created some great video tutorials on a variety of aspects of video production that are well worth a view when you are at the site, there is always something to learn after all. A wonderful site full of information, tips and opinion on all aspects of video production, it's a great place to spend some time, with the added bonus of a bunch of free downloads for Premiere that can be found here. Of particular note are the tutorials, an excellent source of information and tricks that you may not have seen before, with their YouTube channel being a great source of free guidance for editors of any sort of experience. I always enjoy watching how others approach the subject, I never fail to learn something. A commercial site offering some great products at competitive prices, at first glance this may not seem to be a useful place for our search for the free stuff. However, all the products do have a free trial download, and as a bonus the trial for pack 1 on this page includes four that are free to keep and use for as long as you wish. They really are quality products too, and well worth a look. Style4Type is an interesting site regularly updated with new free templates as well as offering technique advice and having further templates available as commercial products. All the free templates are gathered onto a single page here. And to the side is even a free download for a pdf file that walks you through installing and using the templates within Premiere once you have them. There are already a lot of free templates on offer covering a wide variety of styles, but they are added to with regularity so it is definitely a site to bookmark for the future. Lots of information on this site as its been running for a decade, it is a website that imparts a wealth of knowledge along the way on not just video editing but music. 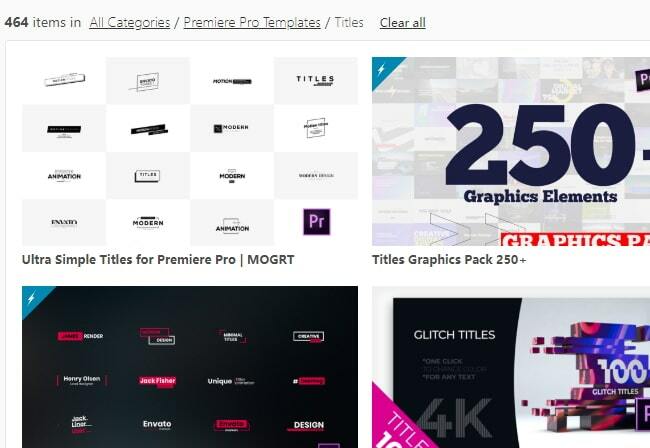 The pack includes 21 Premiere title templates to use. Another site that you will want to visit again and again. It is a clean title template without uncessary parts. If you like simple titles, this one is best for you. You can customize in Premiere easily with a few clicks. For beginners, it also includes free tutorials to use. It is a clean title templates with unfolding effect. 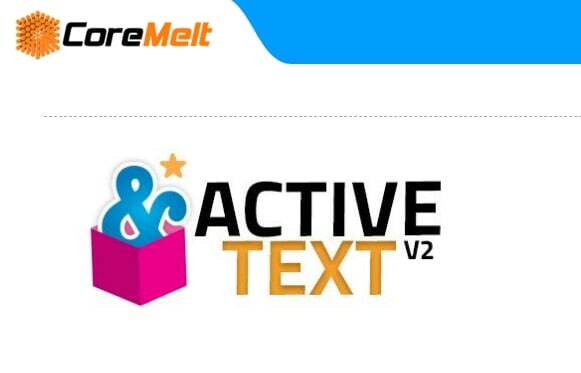 Each text has 2 unfolding effects, which is convenient to use with customization. It supprts 4K and HD version. In this pack, it has 10 title format. After importing Premiere, you can also change text size. These are 5 modern title packs for Premiere. With it, you don't need to use After Effects as you can import them to edit. The best part is you can include your logo and other stuff you like. These are free templates, and they are enough to get anyone up and running with a new project. As said before, with the commercial enterprises that offer freebies it's always worth checking out their paid for output as well, you may not be in the market for it right now, but something may stick for a later time. Even though nearly all websites, we featured in this article offer some free title templates for Adobe Premiere Pro, purchasing a subscription plan on a platform you like to use the most is still a much better solution if you are working on a large number of projects each month. Let’s see, which websites you can use to download title templates for Premiere Pro. 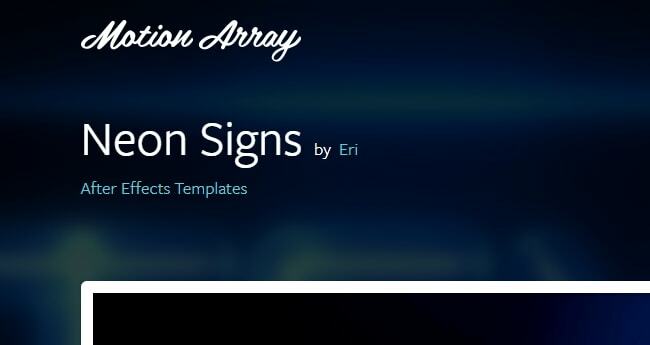 In addition to an impressive library of title templates, Motion Array offers presets, sound effects, royalty free music, and stock footage. 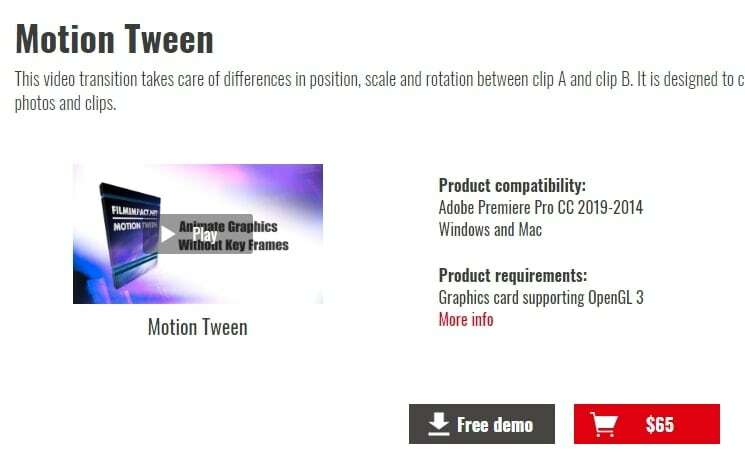 Furthermore, you can choose the software version in order to make sure that the templates you download can be used with the version of Adobe Premiere Pro you have installed on your computer. The website provides you with powerful search tools, so you can select the resolution of the template, up to 8K, or choose which types of templates are going to be displayed. Using the Free subscription plan can limit your options since you’ll only be able to download free templates and your upload storage will be limited to just 1GB. 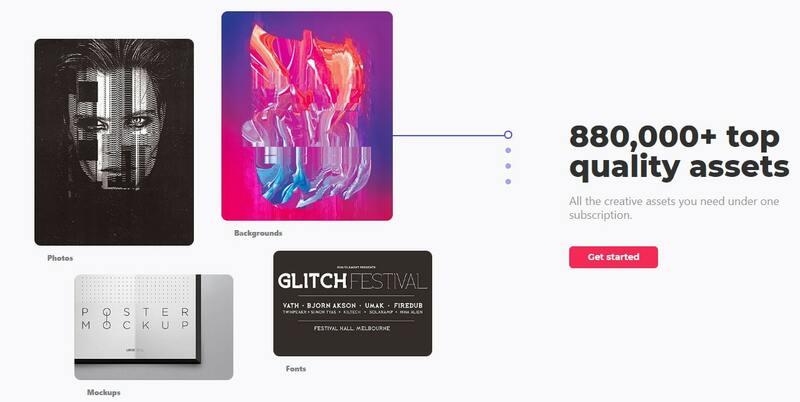 The Pro subscription plan that can be purchased for $54 per month will grant you the access to an almost endless selection of title templates as well as a huge selection of plugins for Adobe Premiere Pro. 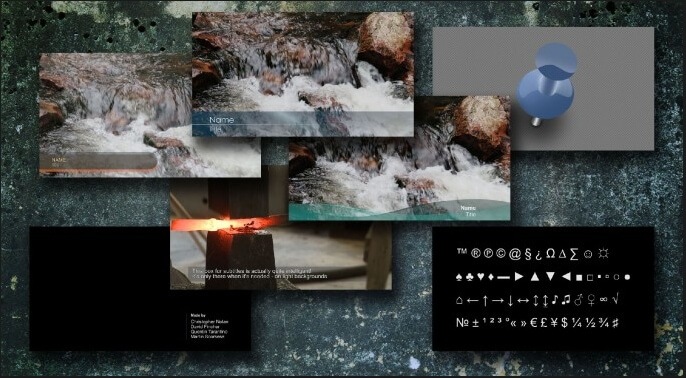 This is a designer pack that features 10 pre-animated lower-thirds title templates. You can change the duration or the font and color of the text in each template and you can choose if you want to download a 1080 or the 4K version of the designer pack. The templates are compatible with CS6, CC2013, CC2014, and CC2016 versions of the Premiere Pro. The Simple Titles pack can be easily installed, as you just have to drag and drop it into the software. However, before you can download these title templates, you have to subscribe to Cinecom’s mailing list. Even though this can be a bit inconvenient it is very well worth the trouble since you’ll be able to transform or build upon the title templates and use them freely in all videos you edit in Adobe Premiere Pro. You can find much more than title templates on the EnvatoElements platform since you can choose from 740.000 items you can use for anything from creating a WordPress website to preparing your next business presentation. The Video Templates category alone features over 4000 items, including Logo Stings or Infographics assets. 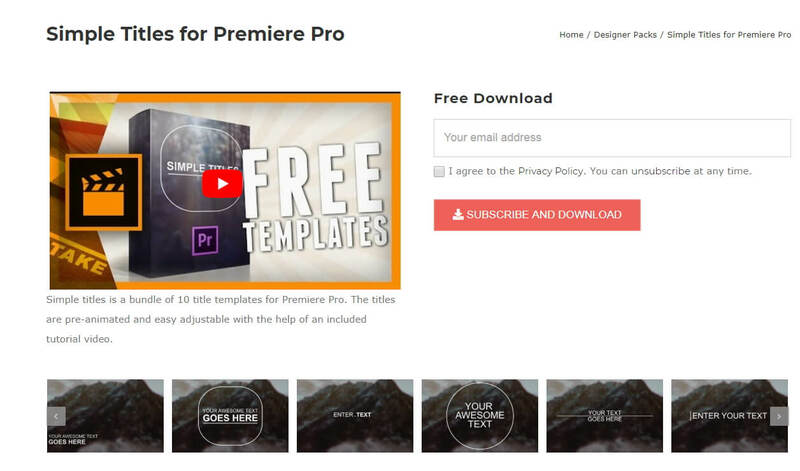 There are nearly one hundred available title templates for Adobe Premiere Pro, but downloading any of them requires you to create an account and purchase a subscription plan. Prices start from $16.50 per month and packages include virtually unlimited access to stock photos and videos, video templates, and much more. The EnvatoElements platform also offers assets that can be used with Final Cut Pro, Adobe After Effects or Apple Motion. Videohive is a part of the Envato Market platform that also features Web Themes and Templates, Code, Audio or Graphic sections. It is free to use, but only a limited amount of assets can be downloaded for free. In order to download an item, you must purchase it, and prices can range from $16 to $50 for a single title template. Videohive is also a great source of title templates for Adobe After Effects, as it offers more than 5000 titles that are compatible with this software. Furthermore, you can download presets for both Premiere Pro and After Effects that can be used to create stop-motion animations, perform color correction or make the footage look like it was captured with a VHS camera. This option is best suited for video editors who want to create their own titles because the RocketStok’s Cinematic Style Library extends the scope of options provided by Premiere Pro. Downloading all fonts except Helvetica Neue is free, but you must check which fonts you can use in commercial projects. You will have no trouble installing the fonts since you can just double-click on a font and follow the on-screen instructions. Once you’ve installed all the fonts from the library, you can use them to replace the software's default library. 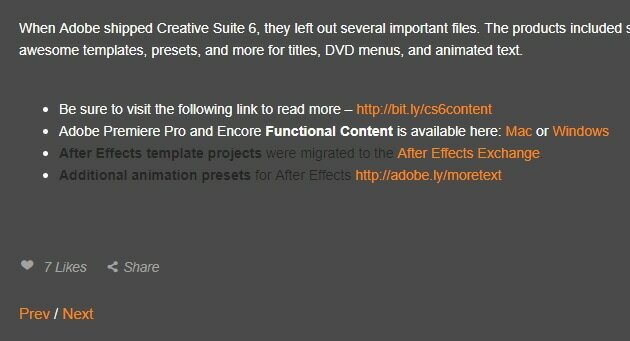 You just have to click on the Replace Style Library option that can be accessed from Premiere Pro’s Title Style tab. If you don’t feel comfortable creating your titles or if you simply don’t have the time to create your own titles, the Free Cinematic Style Library is not the best choice for you. 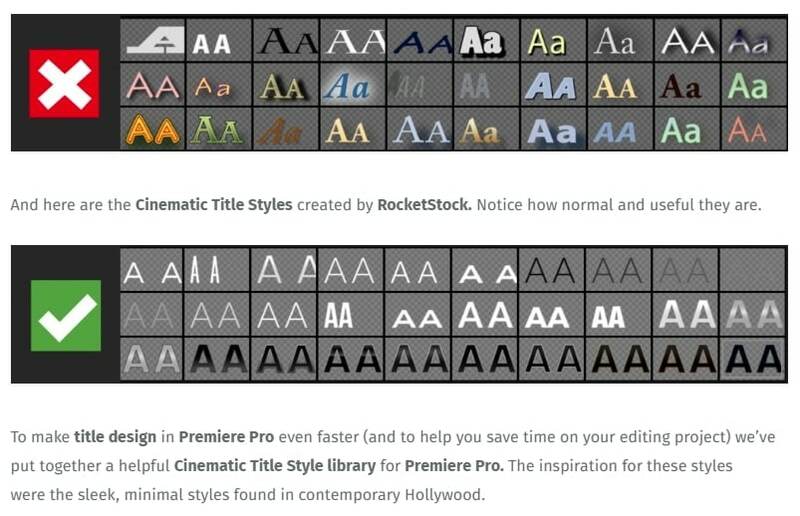 On the other hand, Premiere Pro’s users who don’t often use title templates can benefit from downloading RocketStock’s font library. If you download the template, all the title templates support customization. You can change its size, font, color and add 3D effects. It is easy to import and use it to touch up your video. Check out the steps below to know how to quickly import title templates. Choose one template you like and download it to your PC. Rememebr to unzip it before importing. You just need to go to click Effects at the top. Then at right, you will find Presets in the effects section. 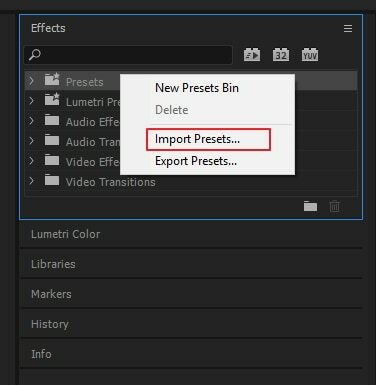 Right click on presets, and choose Import Presets. Once the title template is imported, drag it to timeline. Click the Editing tab. 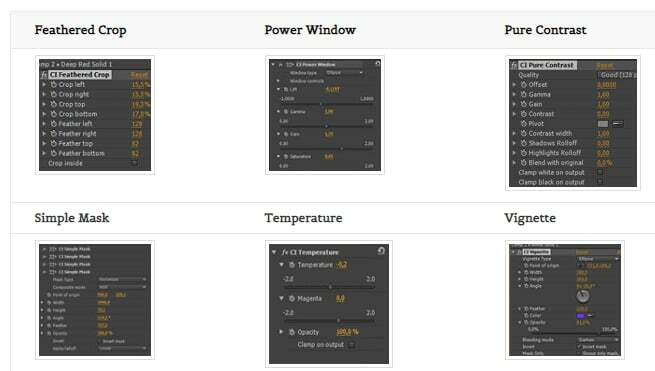 Here you can customize colors, text, and positions. There are more options for your to explore. Note: each version of Premiere's interface will look different, but the workflow is similar. Using title templates can help you achieve a certain visual style faster, so you don’t have to spend a lot of time looking for a perfect background or animating the text. The Internet provides almost unlimited video editing resources, but not all of these resources can be acquired for free. Which website you will choose as a source of fresh title templates depends on how often you work on new projects in Adobe Premiere Pro. If you want to make prefessional video editing and tired of Premiere, try FilmoraPro! It includes various titles templates to use. You can sync audio automatically, use detailed color correction to make your title and video like a movie. Download it now (FREE)!